The Rex “crown jewels”. Complete series of fluor powders for all conditions, used by many national teams worldwide. Our powder line is developed together with national ski teams for elite racing skiers. Fluoro powders offer unmatched glide properties and repel dirt exceptionally well. Sprinking powder on top of grip wax is also a really effective method for preventing icing and dirt. Worlds leading cross country and biathlon teams trust Rex fluorinated coatings, why don’t you try them as well? The powder for the wettest conditions. At its best on old and coarse snow. Use HF11 Yellow for base wax. Durable and repels dirt. The dirtier and wetter the more layers of powder. Does no contain graphite or molybdene. The real all round powder for mild frosts. At its best on old and/or dry snow. Contains graphite. Powder for poor gliding cold snow in freezing conditions. 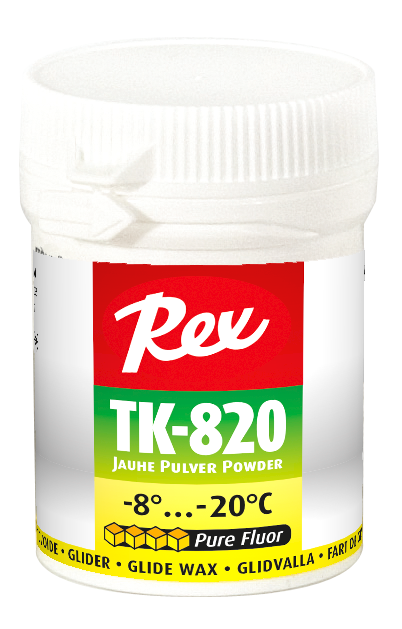 Works well even up to -2°C on old or granular manmade snow. Trusted by many national teams when the conditions are cold! Contains graphite. 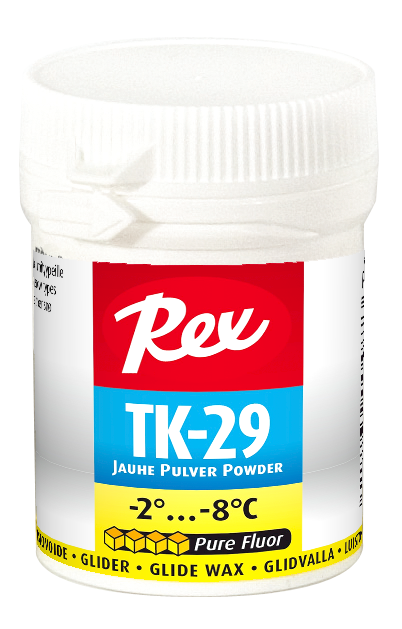 Rex’s best selling powder TK-245 excels on all snow types and a wide range of conditions. Its peak performance is in new snow or humid mild frost, but it also performs well in coarse and wet snow conditions. If you want to enter the world of fluoro powders, TK-245 is an excellent choice to begin with! Coating with Rex fluoro powder gives the ski best possible glide, without compromises. 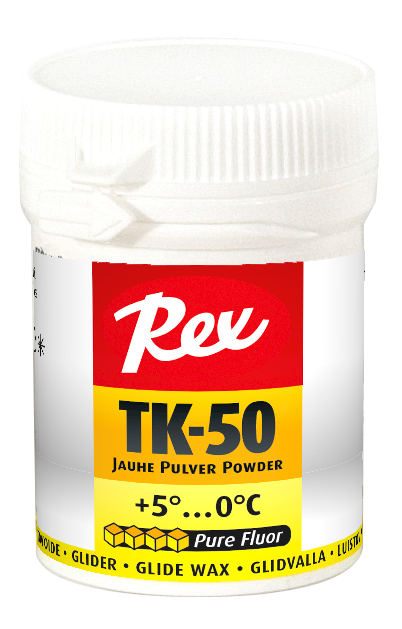 Rex fluoro powders are trusted by national XC ski teams worldwide!